Witteveen, J.A.S, & Iaccarino, G. (2014). 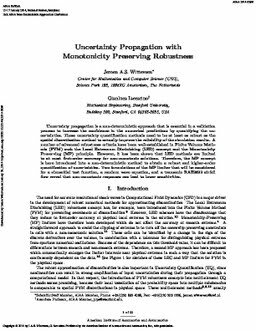 Uncertainty propagation with monotonicity preserving robustness. In E Tuegel (Ed. ), Proceedings of AIAA Science and Technology Forum and Exposition (AIAA SciTech 2014).